Savage Station June 28 12:20A.M. …I now know the full history of the day [June 27]. On this side of the river – the right bank – we repulsed several very strong attacks. On the left bank our men did all that men could do, all that soldiers could accomplish – but they were overwhelmed by vastly superior numbers even after I brought my last reserves into action. The loss on both sides is terrible – I believe it will prove to be the most desperate battle of the war. The sad remnants of my men behaved as men – those battalions who fought most bravely & suffered most are still in the best order. My regulars were superb & I count upon what are left to turn another battle in company with their gallant comrades of Volunteers. Had I 20,000 or even 10,000 fresh troops to use tomorrow I could take Richmond, but I have not a man in reserve & shall be glad to cover my retreat & save the material & personnel of the Army. If we have lost the day we have yet preserved our honor & no one need blush for the Army of the Potomac. I have lost this battle because my force was too small. I again repeat that I am not responsible for this & I say it with the earnestness of a General who feels in his heart the loss of every brave man who has been needlessly sacrificed today. I still hope to retrieve our fortunes, but to do this the Govt. must view the matter in the same earnest light that I do – you must send me very large reinforcements, & send them at once. If I save this Army now I tell you plainly that I owe no thanks to you or any other persons in Washington – you have done your best to sacrifice this Army. When General McClellan wrote this message, he didn’t know that his army still had a few more battles to fight. They were in the middle of the “Seven Days Battles” which would conclude the Peninsula Campaign. 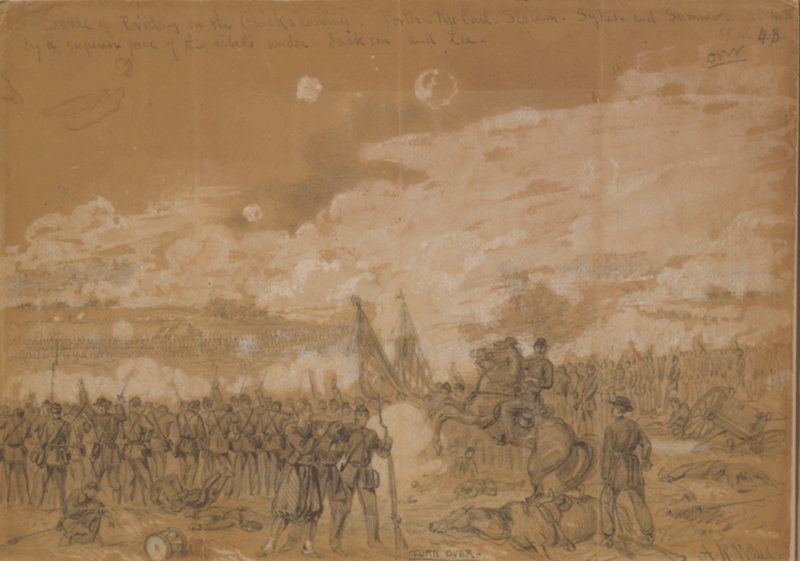 With reinforcements recently arrived from the Shenandoah Valley (Jackson and an already battle-weary army), Confederate General Robert E. Lee launched a series of conflicts to force McClellan away from Richmond. 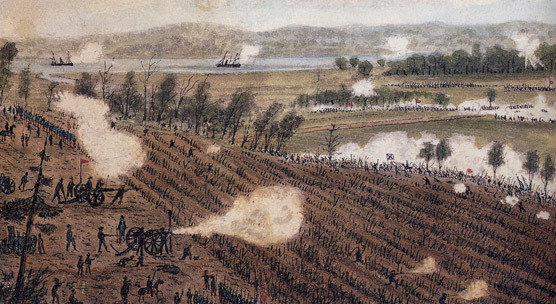 After the Battle of Malvern Hill, McClellan encamped the Union army at Harrison’s Landing on the James River with his gunboats nearby. George McClellan would not be the Union general to capture the Confederate capital, even though he spent many days sitting near the city. Sure, McClellan would have a few more “tomorrows” with the Army of the Potomac, but Richmond would not be his prize. The Army of the Potomac would sit idly for a month after the end of the Seven Days Battles, safely protected from the Confederates by gunboats and artillery. However, big guns aren’t much of a defense against mosquitoes, bad water, and the resulting diseases. In August, Lincoln sent orders to withdraw the army. Union morale faltered when the promised Richmond victory didn’t happened. Meanwhile, Confederate morale spiked, and General Robert E. Lee prepared his army for future defensive and offensive movements. Richmond was still the Confederate capital at the end of the July 1862. That city had been the symbolic prize for the North since before the first battle of the war in 1861 and the target for multiple Union armies and campaigns. For the South, their capital remained “safe” and defended for that 1862 moment. Richmond would have many “tomorrows” as the Confederate capital; and after the war, the city would have to rebuild and adjust, shaping its continuing tomorrows as historians and civic leaders have grappled with interpretation of the city’s history. 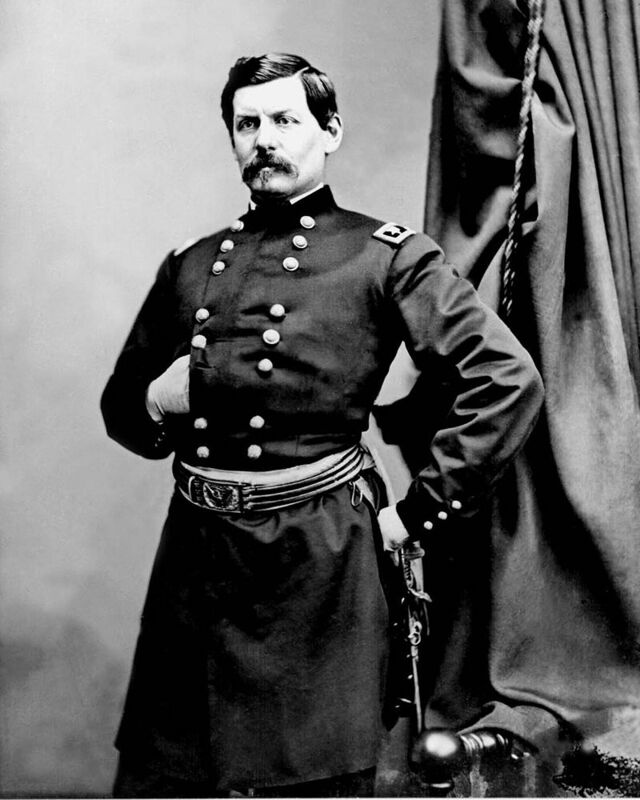 George McClellan is quite a historical character, isn’t he? He was a brilliant organizer, a great motivator for the common soldiers, excellent at begging and pleading for more troops, and he had a “perfect” excuse and cover-answer for not capturing Richmond. Remember all those letters saying he needed more soldiers? Here, the general manages to neatly turn the blame, fault, and lack of victory on the Secretary of War and the Lincoln administration. They didn’t listen or give him what he needed so “don’t blame me!” It’s one of those astonishing moments in history – just wow (and that’s not an amazed, praising wow from me). 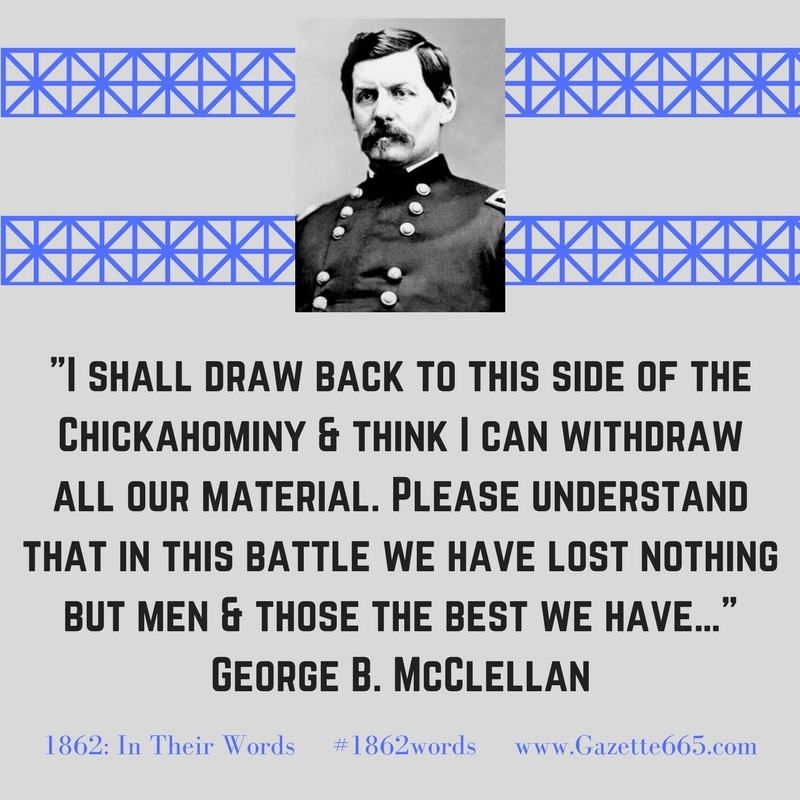 Another thought – McClellan was usually careful to praise his troops, and this letter is no exception. He does display compassion here, noting the high losses. Ironically, McClellan will command the Army of the Potomac at the Battle of Antietam (September 1862) which would be the single bloodiest day in American history – with carnage and destruction far beyond the un-victorious tragedy for the Union in the Seven Days Battles. P.S. In your opinion, what positive and negative leadership qualities does McClellan display in this letter? Certainly, a case where “his own words” were part of his undoing. What a jerk Mac could be!